The original manufacturer – We invented the product in 1956. We have over 60 years of experience with all types of mooring conditions. Our competitors have tried to copy our system. Some use hollow poles which are not strong enough to hold the boat away. Others calculate the size of the whip by using the length of the boat as a guide. The weight of the boat is the most important thing. Others charge extra for a roller tip designed by Mooring Products. Some have copied the Rocker Base but made it smaller and under designed which in turn adds extra stress to the dock. The improper design has also led to failure of the base castings. Many of these companies have been around less than ten years and lack the practical knowledge for assisting customers and answering questions. Mooring Products invented and refined the product over the years. We have the expertise and knowledge to answer technical questions customers have. Large retailers have many products and many employees who cannot be expected to know the proper answers. At Mooring Products, you can speak with experts who have been involved with the product for over 40+ years. 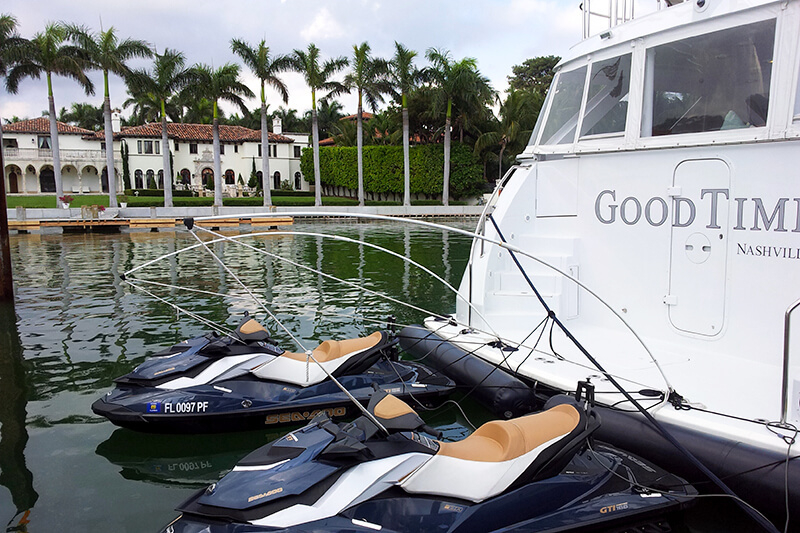 Mooring Products is the only company to supply whips for boats as large as 73,000 pounds or approximately 80 feet. 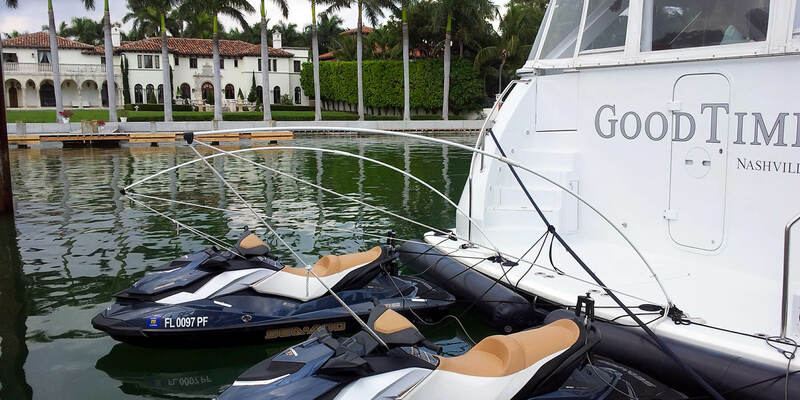 Mooring Products is also the inventor of the Boat Mounted Mooring Whip System for mooring and towing tenders and jet skis. Having been located in Florida since 1956, we have experienced all kinds of mooring conditions including tidal fluctuations, sever storms and even hurricanes. Like any product, you get what you pay for. We are here to help you and we guarantee your satisfaction. You can always be in contact with the experts of the business. No other company can offer you the support and quality products available at Mooring Products. Some companies base their product on price and will sell you anything in order to get the sale. If you have an application too tough for any of our competitors or you can not get a satisfactory answer, please contact us.